Be Aware Of Online Tracking: Can an ISP Track a VPN User? Online tracking is big business, and occurs all the time, often without users knowing. 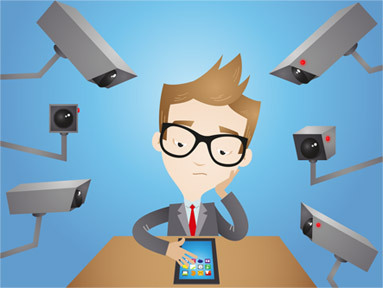 To prevent online tracking many internet users connect to a VPN which encrypts online traffic and keeps a user, and their location private. An internet service provider or ISP is an organization that enables us all to use the internet and access content. ISP’s allow users to access the internet by employing technologies that connect internet uses to a network. Some internet users worry that ISP’s can track data- even if a VPN is used. Why do people worry? Well, in order for an ISP to allow internet users to access online content they have to know where to take a users traffic from, and where to send it to. For users who are connected to a VPN surely the ISP would not know where to send the traffic to? However, this is not the case. ISP’s have to know where to send traffic, and even if users are connected to a VPN, ISP’s know to take traffic to and from that server. Does that mean that an ISP could track a VPN user? Well, worry not. As with anything online, a VPN has a set of identifiable characteristics such as the port that is used, but these characteristics are not unique to each user. Therefore, although an ISP will be able to see what ports that an internet user is accessing, and can determine if that port is a VPN or not, the ISP cannot see what users are doing. What is more, although an ISP will be able to send data from your computer to wherever you need it to be sent, the ISP will not be able to see exactly what data is being sent because they will not be able to bypass the encryption. As long as you browse online using a reliable VPN that is switched on, you and your data will remain safe and secure because ISP’s will not be able to track your online activity. Therefore you will be able to access any site you wish, send emails without worrying about your ISP provider knowing who or what you are sending and access sensitive content. With a VPN you can surf the web freely and not worry about being tracked.